ZALORA's biggest sale, 12.12 Online Fever is back and the temperature has just gotten a notch higher just in time for the holidays! Offering huge discounts of up to 80% on both local and international brands, ZALORA’s great deals exclusively available on December 12 will surely make your Christmas shopping a whole lot easier and not to mention, more affordable! And although the huge ZALORA discounts are already very good savings for your wallet, here are some awesome ways you can make the most of this super sale. We’ve all been there, one minute you’re casually browsing through the internet and the next thing you know, you don't have prepaid load anymore. Now, you can shop ‘til you drop and enjoy the perks of the 12.12 Online Fever, worry-free, with SafeZone. Fueled by Voyager Innovations, SafeZone lets you browse your favorite brand sites like ZALORA, absolutely free of data charge! Just go to www.safezone.ph, register, access ZALORA.com.ph and shop away. Choose your next fashionable ensemble from over 1,000 local and international brands on ZALORA. You can even shop for your holiday gifts and have it delivered right at your doorstep. Safezone is available for Smart and Sun subscribers. Just visit the SafeZone site for more details. 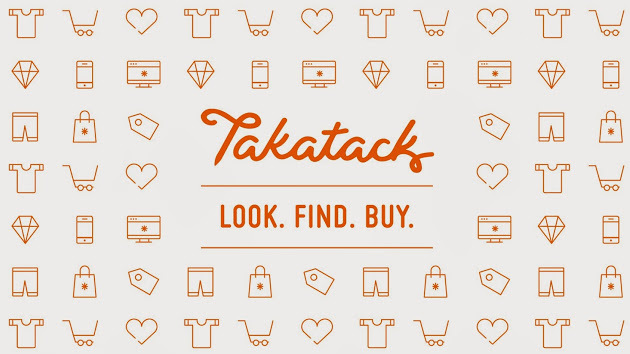 If you are looking to purchase the gadget of your dreams, you might want to check Takatack.com, one of the many participating e-tailers of the 12.12 Online Fever Sale. Get 20% discount on all electronic products via Takatack - from smartphones to tablets to cameras, with no required minimum purchase. All you need to do is click through the Takatack link on www.zalora.com.ph/online-fever-partners, select the gadget you want to buy, and use the voucher code ALLHERE upon check out. Also from Voyager Innovations, Takatack is the biggest online marketplace in the country, housing more than 500,000 goods that you can easily discover from merchants including ZALORA. 3. Shop online without a credit card with PayMaya. Shopping on ZALORA - and any other stores online - without a credit card is made possible with PayMaya, now the no. 1 most downloaded fintech mobile app in Google Play. PayMaya is your ultimate all-in-one mobile app that provides you with an instant virtual Visa card which you can use for your online transactions. You don't need to go through long applications, just download, register and you get your own virtual Visa card - regardless of your mobile network. Add to that the physical PayMaya Visa card that you can use in face-to-face transactions in any store that accepts Visa. If you get the PayMaya Visa Card with beep, you can use that card variant for tapping at LRT / MRT stations.You can also opt to upgrade your account so you can transfer money and buy airtime load from Smart with a discount. #NowYouCan catch the ZALORA 12.12 Online Fever with PayMaya! To get your own PayMaya virtual Visa card right now, download the PayMaya mobile app at Google Play (Android) and App Store (iOS), register, reload at any of the 15,000 PayMaya centers and shop away! Check out www.paymaya.com for more details. Bonus Tip! Takatack is giving away Php 50.00 credits to new PayMaya users. Follow the instructions above on how to download PayMaya and enjoy this little treat from Takatack! Super Bonus Tip! Use PayMaya to pay for your ZALORA purchases on December 12 and you will get an additional 15% off from your total purchase! Use code "1212PAYMAYA". Visit zlrph.com/paymaya1212 to learn more. Per DTI-FTEB SPD Permit No.14241.